Trying to find pubs in Lower Horsebridge? You’ve come to the right place. We’ve got every pub and bar in the UK listed. 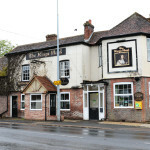 Whether you’re looking for a pub or bar in Lower Horsebridge to play darts, somewhere to play pool or just want to have a look at a menu before you go, we can help. 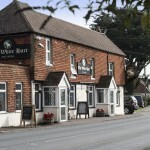 Delicious range of food, B&B rooms, a pub and a function room for events. 31/07/2015 Very nice our third vist.